Have you ever wanted to study Kundalini Yoga? But can’t find a local teacher? 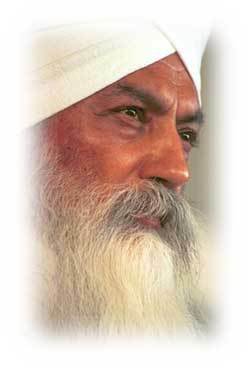 Calista now offers 1-to-1 Skype classes in the incredible science of Kundalini Yoga, as taught by Yogi Bhajan. Kundalini is the manifestation of the Divine that goes beyond religion to unite us with our highest Self. It celebrates the blessing of You and can support you to heal and become empowered in every area of your life. This 6,000-year-old practice is accessible to everyone. All ages, body types and levels of wellness are suitable. Just from being in the energy of Kundalini Yoga, you can benefit. Kundalini Yoga integrates breathing techniques with kriyas (yoga sets of active postures and held poses), deep relaxation, meditation, mudra (hand positions), and mantra (meditation using the repetition of sacred sounds). It is fun, dynamic and incredibly efficient, and is prescriptive in nature. For example, there are kriyas for healing a broken heart, cleansing the kidneys, releasing past-life trauma, to meeting your inner Self and mastering the mind. You name it, Kundalini Yoga can provide a tool to support you! Based on your intentions, Calista will put together a kriya and meditation class to best suit you. Your session may also include other forms of energetic healing, spiritual mentorship and guidance from your soul and spirit team. Private classes last an hour, but may be longer depending on what is coming through for you in the moment, and are delivered via Skype in the comfort of your own home. If you would like an audio recording of what is shared, please mention this at checkout along with your date of birth. Calista is a registered Kundalini Yoga teacher and member of the Kundalini Yoga Teachers Association and the International KYTA. Introduction to Kundalini Yoga with Calista from Calista Dharampreet Kaur on Vimeo.